Porridge is such a GREAT way to start the day! It has just so many health benefits – it’s rich in fibre, slowly releases Energy, and can help reduce Cholesterol (as part of a low fat diet). Our gluten-free oats are carefully grown in Ireland to the highest standards – every batch is certified gluten-free for your peace of mind. 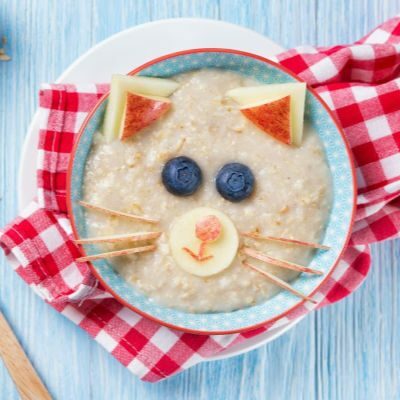 To make your porridge extra delicious, healthy and sustaining check out our super Porridge Toppers, which are loaded with nuts, seeds and very special fruits. Ever tried a spoon of our delicious Hazelnut & Cocoa nut butter in your porridge? Well, if you haven’t… you’re REALLY missing out! 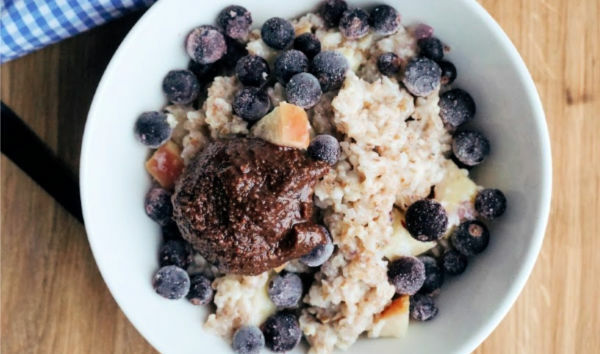 It’s a great way of adding that chocolately vibe to your morning bowl, while also adding valuable protein and fibre. Ingredients: Certified Gluten Free Porridge Oats.. Allergens: See highlighted ingredients above. Note that ALL our products may contain traces of peanut, soya, sesame & other nuts. Storage: Store in cool, dry place away from direct sunlight. 1. Put the oats in a saucepan, pour in the water or milk. Bring to the boil and simmer until it thickens for 1 to 2 minutes, stir from time to time so it doesn’t stick to the bottom of the pan. 2. Pour into bowl, spoon some yoghurt on top (Greek yoghurt if you like! ), a splash of milk and sprinkle with Wyldsson Porridge & Yoghurt topping. Can also mix in some Almond Butter or our famous Crunchy Nut & Seed Butter, to increase the protein content. Some people like to mix in their protein powders or other supplements – entirely up to you. In a hurry? Make this with boiling water. Don’t bother making this in a Microwave as it boils over very easily, not worth it! But you can make porridge in advance and reheat in a microwave in a large bowl on Medium for 1­2 minutes. Before eating let it ‘stand’ for 1 minute and stir to distribute the heat and avoid burning. 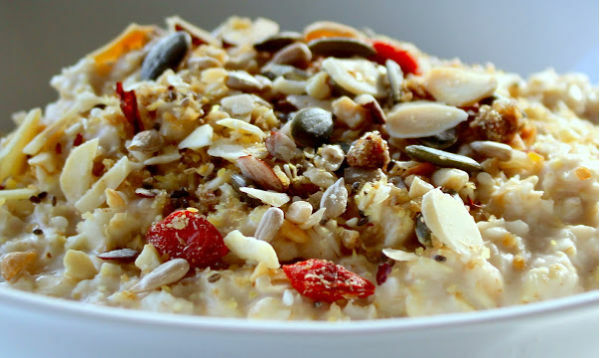 Certified Gluten Free Porridge Oats..